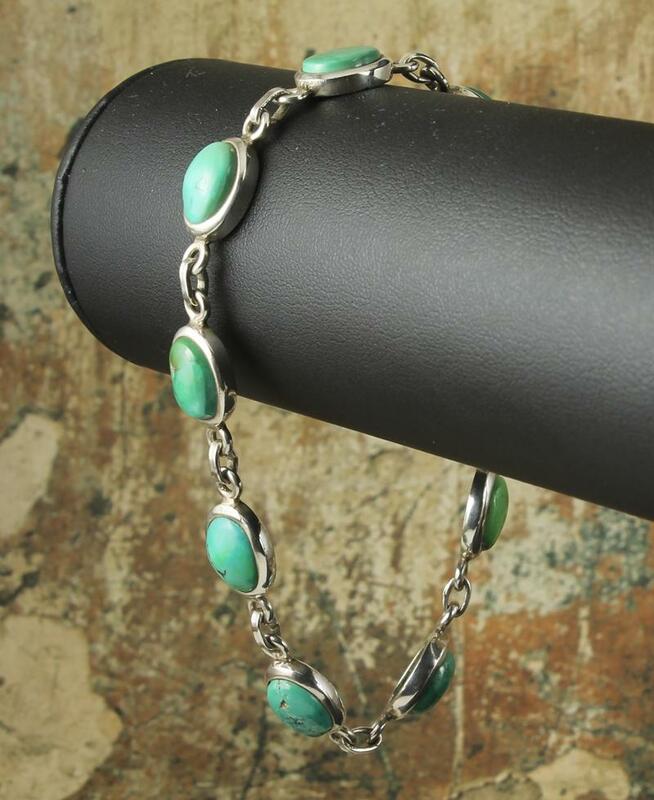 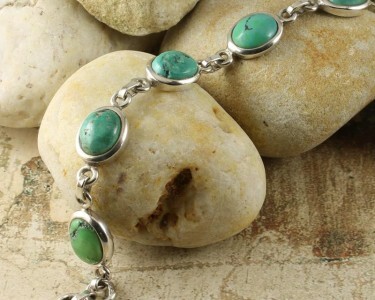 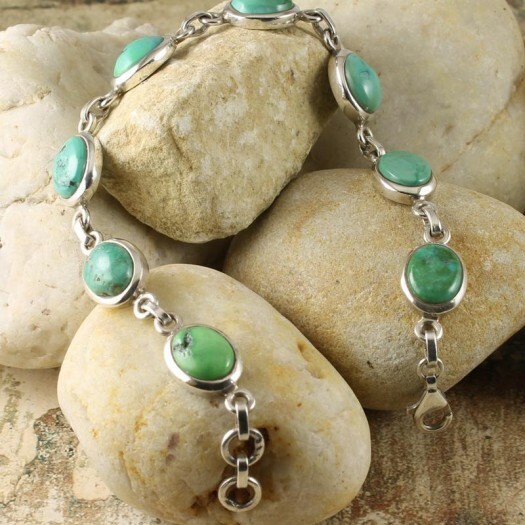 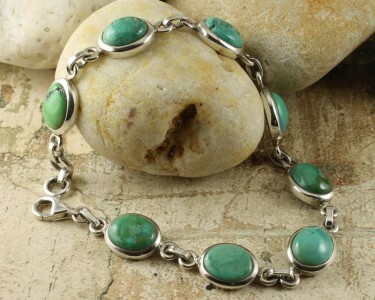 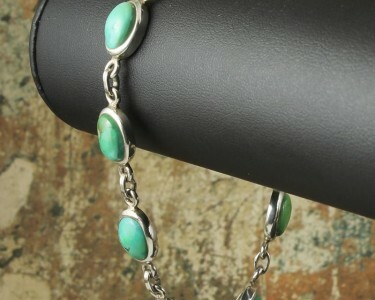 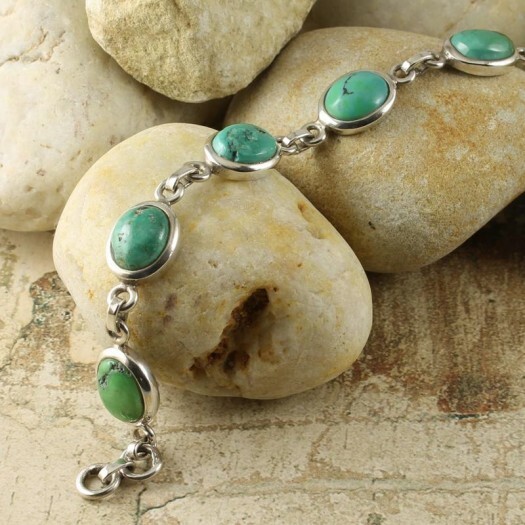 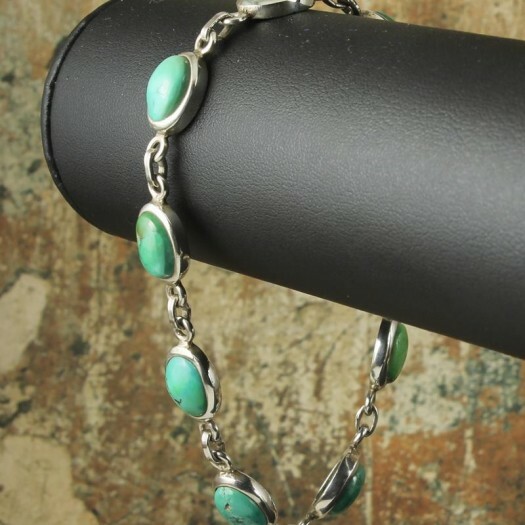 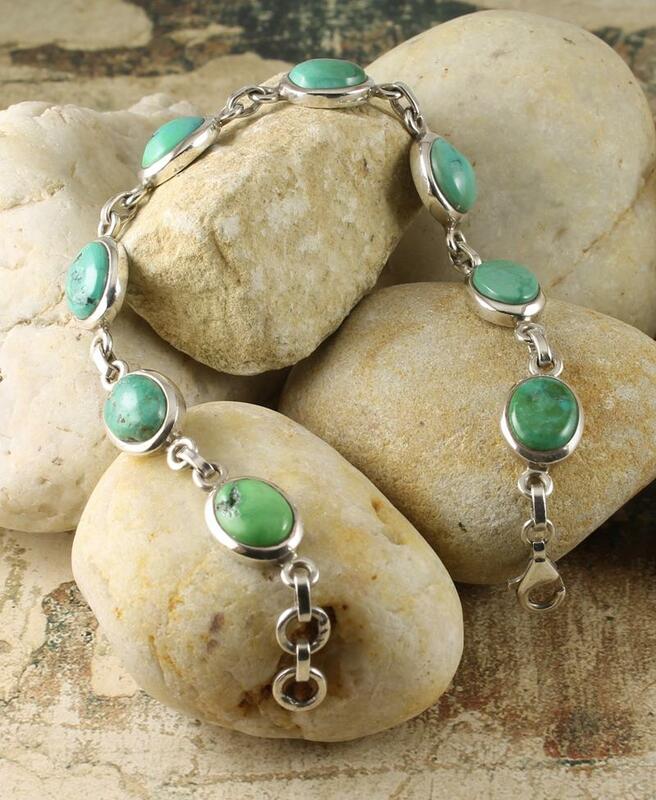 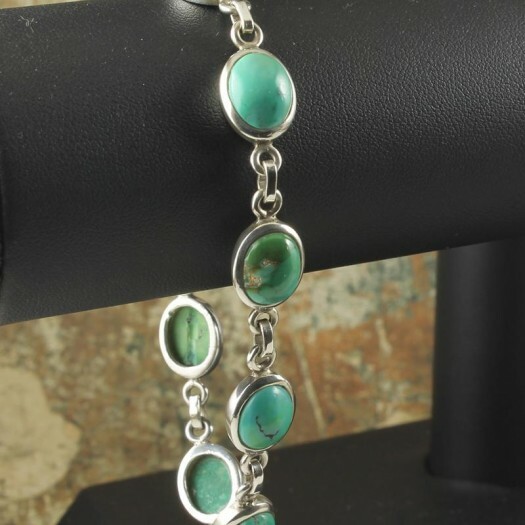 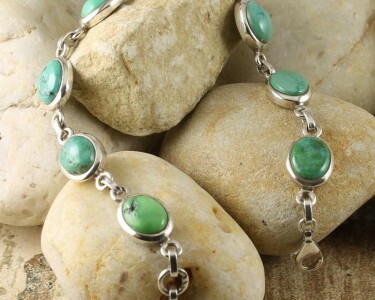 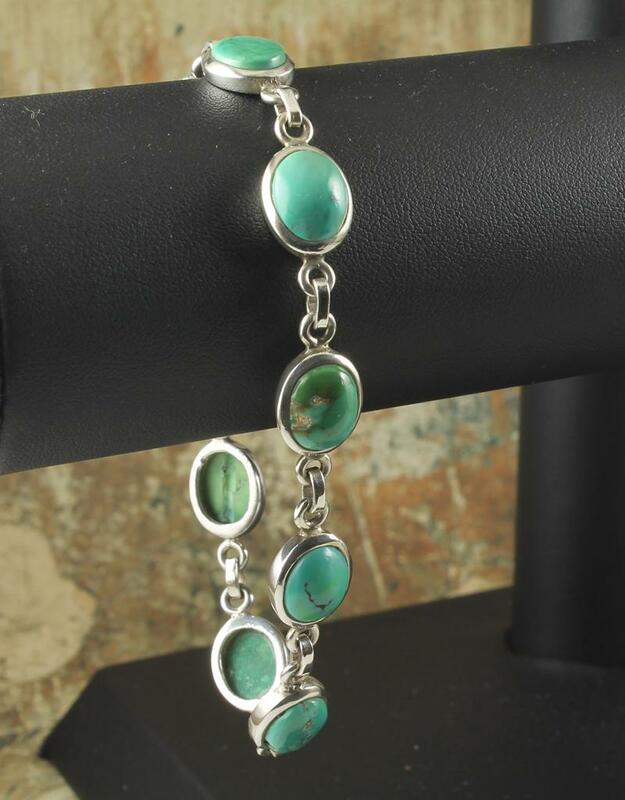 These 8 handsomely-coloured and naturally-shaped Turquoise oval gemstones comprising this superb bracelet are each set in sterling silver bezels and connected by 3 sterling silver rings. 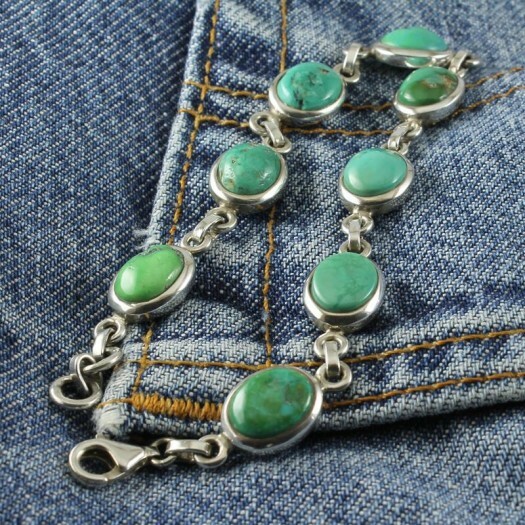 Secured with a sterling silver lobster clasp. 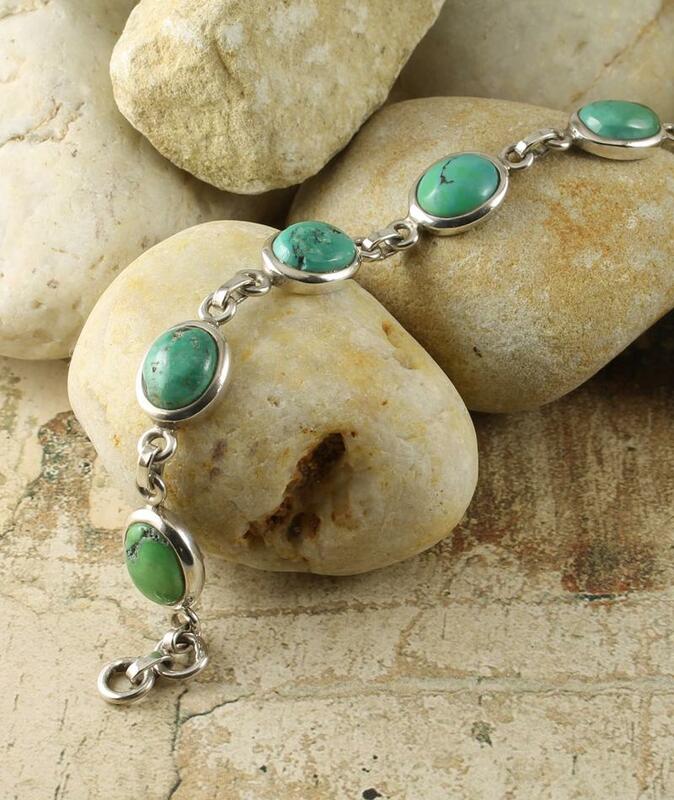 Size & Fit : Inner circumference: 21cm/8.25in; Gemstone length (incl bezel): 1.2cm/0.44in; Gemstone width (incl bezel): 1cm/0.38in. 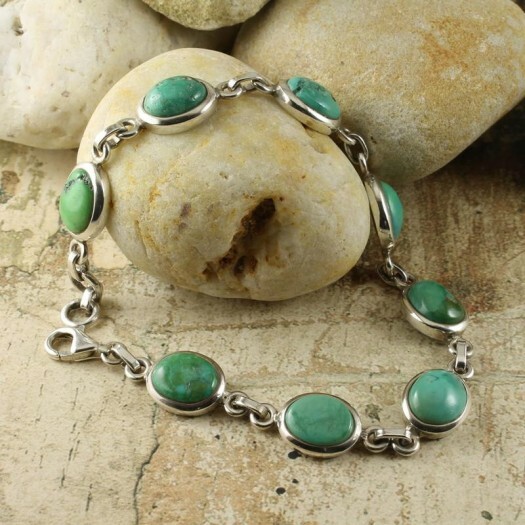 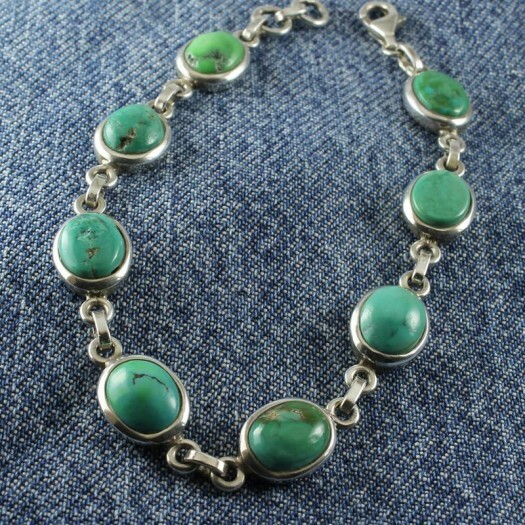 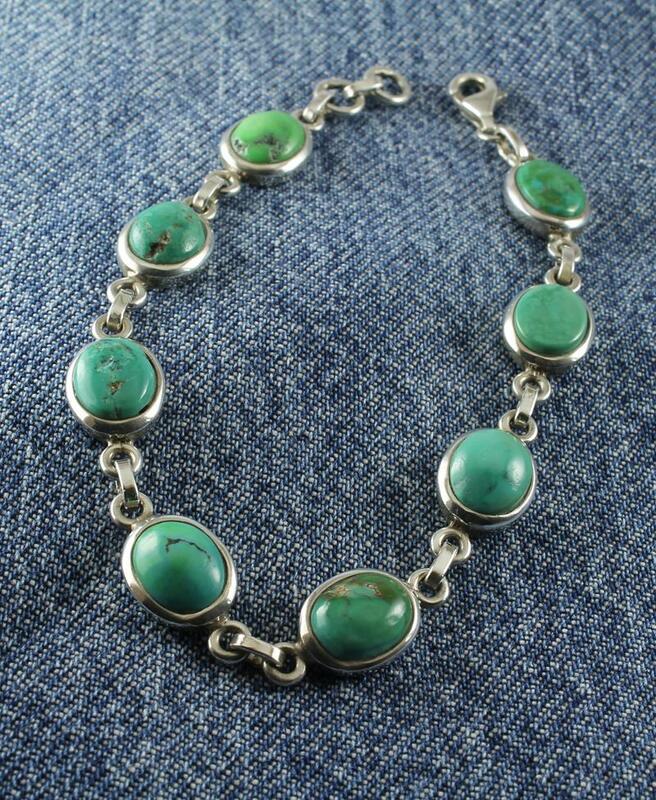 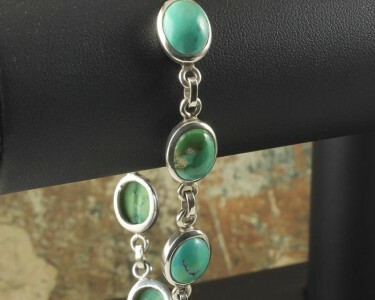 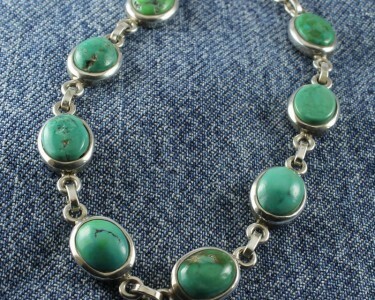 Wear It With : A sensual and elegant natural Turquoise bracelet that can be worn singly as a statement of taste, or with a variety of other bracelets for a more eclectic image. 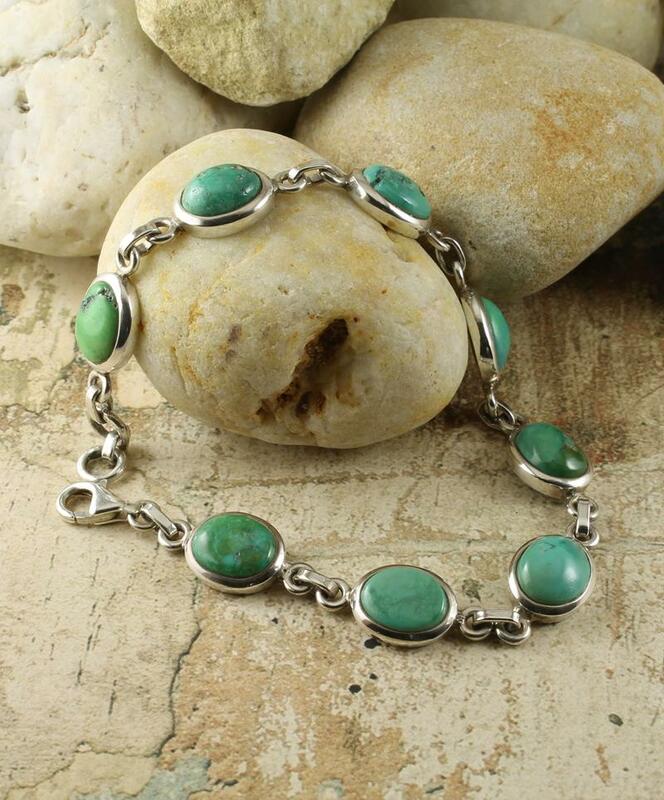 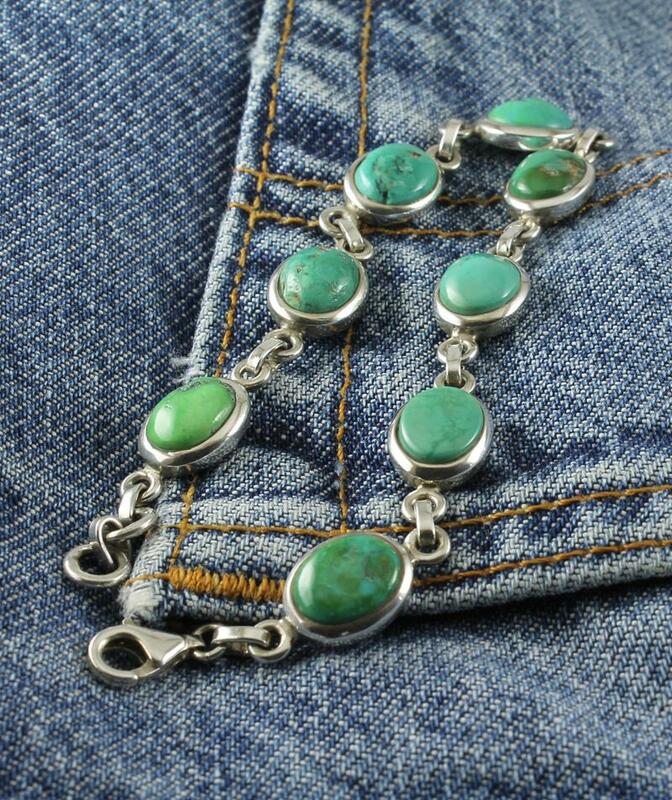 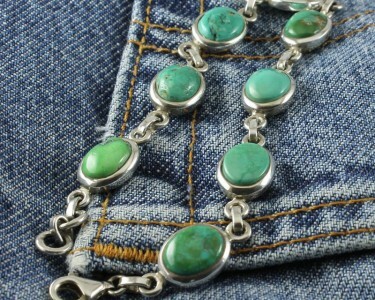 It will provide a nice match to your other turquoise jewellery, wonderfully contrast with outfits in black or white, and look especially good with your blue denims.